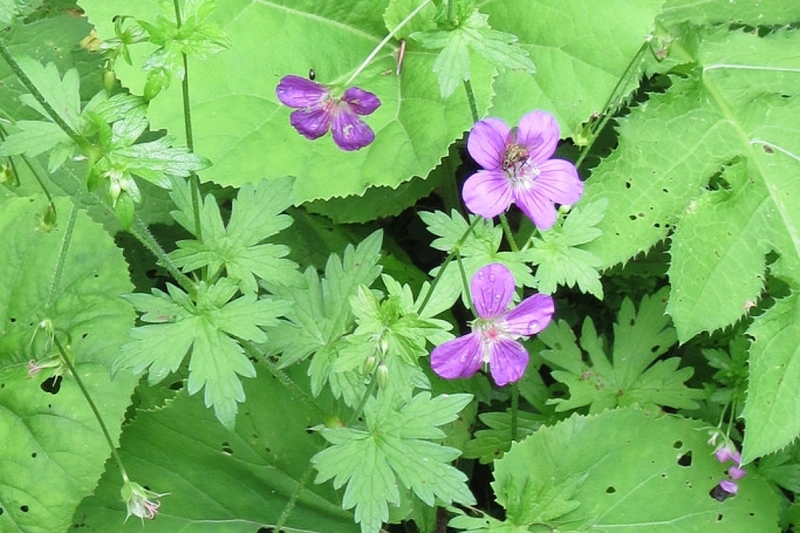 Marsh cranesbill (Geranium palustre): growing, planting, caring. A wild species of Geranium. G. palustre - the marsh cranesbill - is a low-growing, clump-forming perennial with deeply divided leaves, and flowers borne on thin stems rising from a central rootstock, usually bright pink, trumpet-shaped at first then almost starry when the wide-open, wedge-shaped petals become separated.